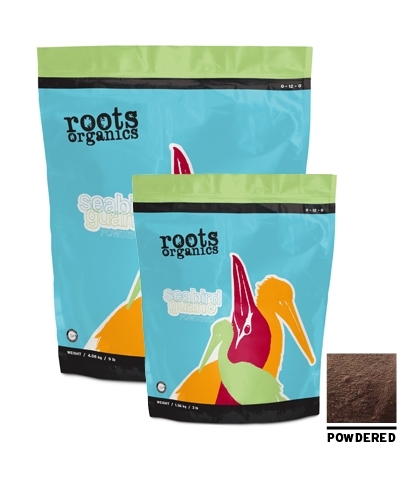 Roots Organics Seabird Guano is an excellent source of phosphate and calcium. Carefully sifted and processed to make it easy to work with, Roots Organics Seabird Guano encourages vigorous growth and is fast-acting for quick results. All our Roots Organics guanos have been carefully sourced for quality and harvested with habitat-friendly methods so you and your garden get performance with principles. Available in both powdered and granular form.